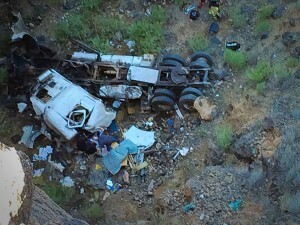 HURRICANE – The man found dead Thursday in a semitruck that went off a 200-foot cliff on state Route 59 near the Hurricane Hill Trailhead sometime during the past five days had served as a judge in Utah for more than 20 years. The deceased man has been identified as Walter K. Steed, of Hildale, police said Friday. Steed had just turned 70 years old on the day he went missing. Steed had been a part-time justice court judge in the polygamous border town of Hildale since 1980, serving nearly 25 years before being ousted from the bench by the Utah Supreme Court. Steed was found to be a polygamist by Utah’s Judicial Conduct Commission, and the panel issued an order seeking his removal from the bench in 2005. Utah’s high court found his relationships with three women he considered his wives was in clear violation of the law, bringing his judicial office into disrepute. 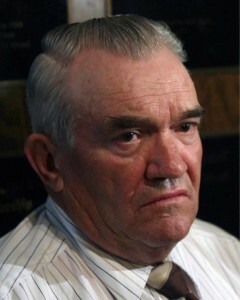 In 2006, the high court unanimously agreed that Steed’s personal or religious beliefs could not transcend the laws he had sworn to uphold while in office. “In the case of a sitting judge, it is of little or no consequence that the judge may believe a criminal statute is constitutionally defective. A judge ignores the clearly stated criminal prohibitions of the law at his or her peril,” Associate Chief Justice Michael Wilkins wrote in a three-page ruling in 2006. Although Steed’s second and third unions were not legal marriages, Utah law prohibits taking another spouse while still married. Bigamy in Utah is a third-degree felony. He began driving trucks shortly after being removed from office. Steed reportedly left his hometown driving a white 2000 Kenworth semitruck on Saturday evening and had not been heard from since, the Hurricane City Police Department said Friday. He was traveling out of state to pick up a trailer. When he had not been heard from in several days, Steed was reported missing Tuesday to the Hildale Police Department. On Thursday, around 10:41 a.m., officers were dispatched to a report of a semi that went off a steep cliff on SR-59, Hurricane City Police Sgt. Brandon Buell said. 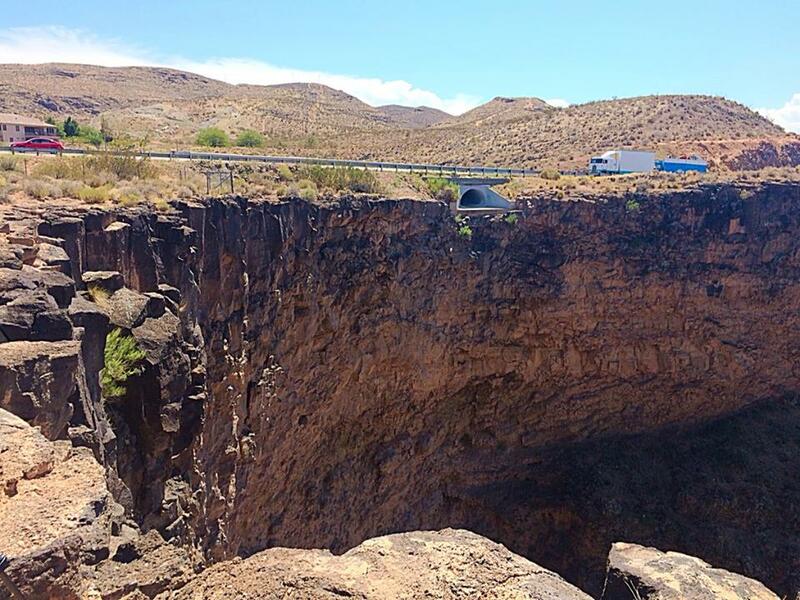 The semi was discovered at the bottom of about a 200-foot ravine, Buell said. 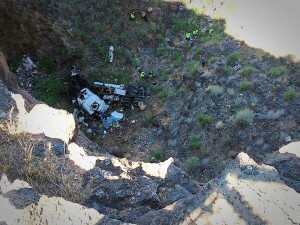 Upon approaching the semi, Steed was found deceased inside the semi. The crash, including when and why the semi left the roadway, is still under investigation. Dee Barlow, a friend of Steed’s, described Steed as a “community father” who was well-known and highly respected throughout southern and central Utah. 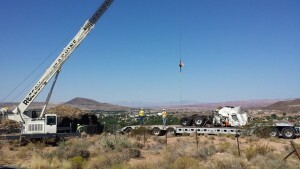 St. George News Assistant Editor Cami Cox Jim contributed to this report. Bigamy in Utah is a 3rd degree felony? Just not enforced. um isnt this like the 3rd or 4th death of a person leaving a roadway in a couple months? maybe these dangerous curbs were there is lots of darkness should be lit up with with glowing road markers as warnings? i’m sure on moonlit nights its ok.. but on nights without moonlite, these roads are sometimes nearly impossible to navigate… someone who travels them often might not realize when its dark, that they don’t know them quite as well.. also, the opposite lane drivers could follow out of their lane causing cars to over.. sometimes headlights just arent set right and don’t do the job at the angle needed for that particular curb.. we’ve all had our close calls.. I also wish my best to the family. I am sure he knew the road well. i think the most likely thing that happened is some kind of mechanical failure with the truck. He may have lost his brakes or blown a tire. On a steep grade like this one, brakes can be a real problem. My family drove log trucks and over the road trucks for years and there were several bad accidents or near bad accidents because of breaks- mechanical failure. that poor family, my heart goes out to all of them and his children and maybe grandchildren.. not cool to lose anyone this way.. God bless. First of all, sorry about your loss to the family….second of all, they took away the judges judging job for doing the same thing that that whole town does? ( more than one “spiritual” wife. It was illegal for the judge to do, its criminal, and yet the whole town is doing it and no one is stopping it. Did I read too much into this story? That is my Dad for you, always amazing but not always understood by others. It was his 71st birthday when he got kicked out of the religion he put his life into. He had given all he had to give, and when there was no more to give; he was cast out like an evil spirit. That truck was one of the last things he owned and probably the closest thing he has had to a home in the last several years; so to me, it seems appropriate that he went out the way he did. There is no question in my mind that this was well thought out and expertly executed; and judge all you want but he went when his work was done, and behind the wheel of his truck which was where he loved to be. Thorough, but with minimal impact to others; he was always considerate that way. I do believe that he understood the consequences of his choice on his family and community; but I don’t think he had a viable alternative. He gave everything he’s ever had to “build up the kingdom of heaven” and that was all he had left. When that was taken away, he lost that driving force that has kept him working overtime for the last 60 years. Within the family we have always said: that as soon as he stops working, he would die; we all knew he wouldn’t sit around waiting for that to happen. This might be the only selfish thing he has ever done and frankly, I’m happy for him. He deserves whatever he wants and if he has finally had enough; let him ride that big white, ten wheeled, multi million miles driven beast, off that hill and into the sunset. He always kept his angels no more than a breath away, so they know that with that last blast of his train horn, its time to swing that chariot low because Pappas coming home. I’m happy for him but that’s certainly not the only emotion coming up. They buried his body in the middle of the night with no service. This is a challenge for me. I understand he made the choices that put him in that situation, so I cant be angry at those involved. Its so frustrating though that after everything he has done, he gets swept under the rug like they are embarrassed of him. I am proud to have called him father and I know if had to be crammed into a one word nutshell he would be happy with that being “Father”. He had a few dozen children and he was so proud of his family. As long as I lived with him, he kept a family photo in his wallet that he loved to show off when he met new people. He didn’t bother with worrying what people might think, he just was. He lived what he believed; which to me makes him one of a rare breed of religious enthusiasts, who don’t get caught up in the hypocrisy. He was very involved with the development of his children; we have all traveled the country with him; and even though he was working he made it a point that we had a good experience. He loved church history and I’m pretty sure we have all been to places like Carthage jail and the Nauvoo temple a few times each. He knew people everywhere we went, and was constantly stopping to help out those in need. He was generous to a fault but he was also the most intuitive person I know. He called it the still small voice and being moved by the spirit, heeding the promptings and the stirring within; whatever you call it, he used it very well. Way too many times we would be in the strangest places doing things we hadn’t ought to, when he showed up out of the blue. He always knew when you were lying, and I think that’s why he was good at being a judge. He hated that job, but the bishop asked him to take on that responsibility and like any good priesthood man he took it on. I was gone by the time he went to court over all that; but I seriously doubt he shed any tears about not having to do it any more. You could make a dozen movies about his life and still have more interesting content than you could ever use. Far too much to go into here so I’ll stick with insight and context. All in all he was an incredible man. I’m so very grateful and proud that he was my father; and even though I’m pretty sure he wouldn’t appreciate this style of recognition, I need a mode of reconciliation with him; a way to say goodbye, some form of closure. So I guess this is my version of his funeral. I love you Father and thank you for everything you’ve done for me. I feel very blessed to have had you as a mentor and a role model. I couldn’t ask for better parents so thanks for doing such a good job at picking my mothers. You have always been a good example and I will continue to use the standards you set, as an unachievable lighthouse to look up to; because I know I could never live up to it. I sure hope you can keep an eye on us still. You have had that many children and never buried one of them. This is amazing but I figure its just because your tight with the big guy. There are so many of us but I hope you can still watch over us. Every time I hear an accordion play or hear a train horn blast, I’ll know your checking in on me. You are the prototype of a good man, you are the epitome of love. I’d be honored to make you proud of me but that doesn’t matter because I know you love me no matter what I do. And that is exactly how I feel about you. That was very nicely wriiten. Thanks for sharing your dad with us. If you talk to anyone who knew Father, they cannot tell enough good about him! He would show up to work and out work anyone their even if he ended up on crutches for a few days. Whenever we rode in the Truck with him, we always came home with a new song, or poem he taught us! Lots of times things would get crazy and Father would start singing a song and pretty soon everyone was singing! It was very important to him that his children be buisy. He always said “an idle mind is the devils work shop” He woke us every morning at 5:00 with a song, Up awake ye defenders of Zion, and others that he felt was important. When their was a job to be done, he would take us to do it- picking up garbage, sweeping sidewalks, hoeing weeds ect… It’s one thing to send your children to do the work and another to go show them how! So this light house that stands before us that is amazing and beautiful had great support (wives) in the work that needed done, and just like him they were their to show the way, to Love, and to let us learn. So tonight as I think and pray for him, Heaven Bless and take care of my Father! And know if this world had a few more like him we would be a much better people! My sincere condolences! Thank you for teaching us about your father and what an incredible man he was. May peace and comfort come to all of you at this time.